Product prices and availability are accurate as of 2019-04-26 09:12:14 EDT and are subject to change. Any price and availability information displayed on http://www.amazon.com/ at the time of purchase will apply to the purchase of this product. Lining and defining eyes has never been easier! 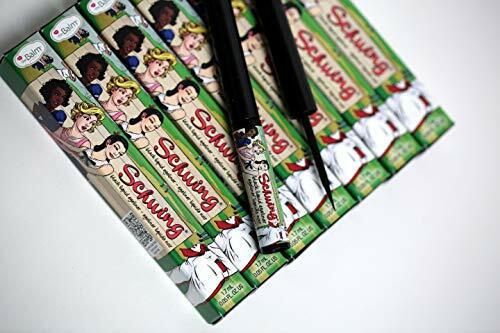 Built with a uniquely thin and tapered felt-tip applicator, Schwing gives you careful control over subtle strokes and bold lines. Create winning looks with this rich, matte-black finish that won’t smudge, flake, or take forever to dry. Cool and compact, Schwing fits wherever you need it. Whether you're home or away, get ready to bat those eyes and play the field!